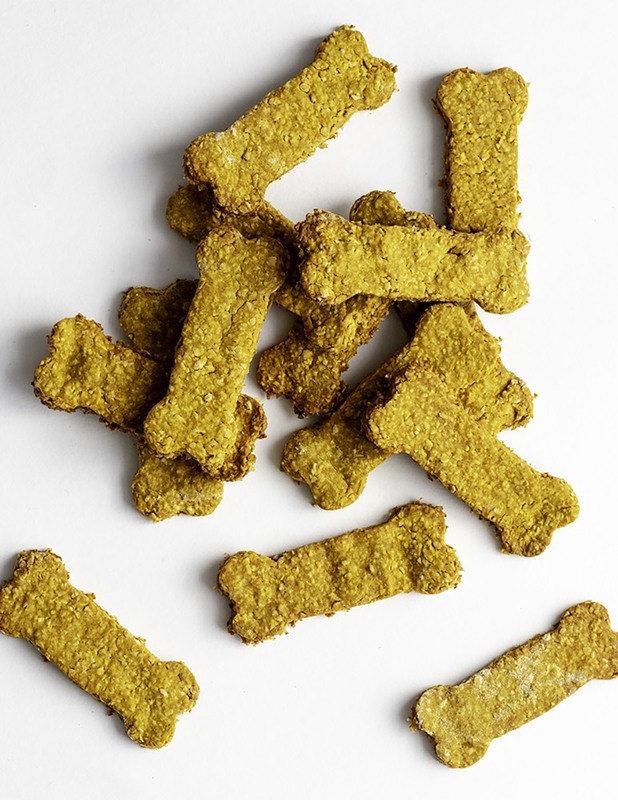 Homemade Dog Treats are a fun way to show your furry friends some extra love! Get the kids to help you with this one and you'll have a perfectly spoiled pup in no time. If you've been following along on Instagram, then you probably already know that we added another member to our family last October. The kids have been asking for a dog for YEARS, and we finally felt it was time to take on this new adventure together. We spent countless hours visiting shelters, meeting adorable dogs, and learning everything we could about being the best doggie parents. One day we met Cosmo, he sat so patiently and sweetly waiting to meet us, and we instantly knew it was meant to be! We learned about his sad history of abuse and were absolutely heartbroken for him. He got to come home with us and we have made it our mission to provide a safe and loving home for Cosmo since that day. Cosmo is anxious, so he has to be handled with care. Making him homemade dog treats is one of the ways we show him that extra bit of love. Getting the kids involved in making dog food for the pup is a great way to help them take ownership for the furry family members, too. 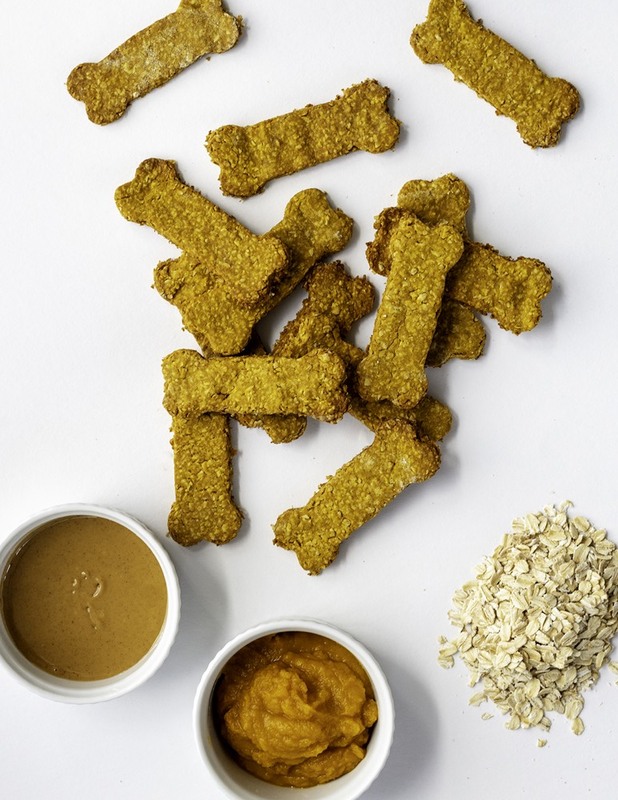 These dog biscuits are filled with the best ingredients for dogs. Peanut butter. Have you ever given a dog just a spoonful of peanut butter?! They love it, and it's hilarious to watch them lick and lick and lick. Oats are a great source of carbohydrates and fiber for dogs. We try to avoid flour and wheat for Cosmo because many dogs have a sensitivity towards that, so oats are a wonderful alternative. Canned Pumpkin is a pantry staple in this house for the humans, and is now a staple for our best doggie, too. It is high in beta-carotene which converts to Vitamin A in the body. Pumpkin is also great for their digestive systems, helping to keep them regular if you catch my drift! Cinnamon has anti-inflammatory properties that can help dogs with arthritis, and it's just a lovely smelling and tasting spice to add to your homemade dog treats! That's it. 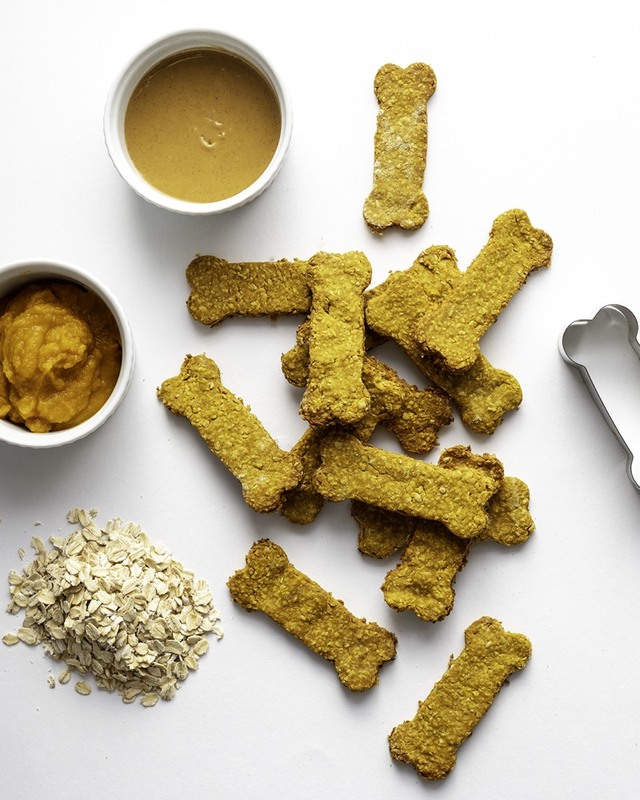 Just 4 ingredients go into these doggie bones to help you love on your furry friends. Tell me about your family dogs! What are their names, and what are their favorite treats?! 1. Preheat oven to 300F degrees and line a baking sheet with parchment paper. 2. Place the oats in a food processor and grind until a fine powder. Add the pumpkin, peanut butter and cinnamon and pulse to combine. 3. Place the dough on a lightly floured surface and roll out to 1/2 inch thick. Cut out with a bone shaped cookie cutter. 4. Place the treats on baking sheet and bake for 25-30 minutes or until dry and hard. Allow to cool and give to your favorite furry friend.